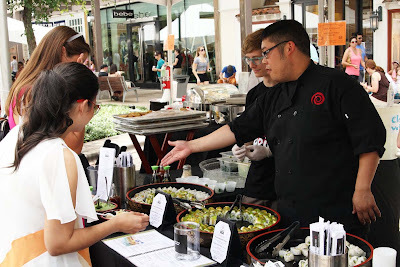 The Domain's 10th annual food festival, Taste of North Austin, features local restaurants, cooking demonstrations, live music, and activities for all ages. Calling all foodies! Restaurants from The Domain and north Austin are teaming up again for Taste of North Austin on Saturday, June 10, 2017, from 11 a.m. to 4 p.m., in Domain II. The all-day family food festival will feature delectable tastes, beverage sampling, free live music, children’s entertainment, and of course, fabulous shopping. Guests opting for the limited-availability VIP experience will receive a goody bag, complimentary drinks and access to the VIP lounge. Cost: Live music and children’s entertainment are free. Food samplings and VIP access will require wristbands. Beer and wine will be available for purchase at select restaurant booths. Wristbands include 10 tastes will be available for $20 at The Domain’s Simon Guest Services or at the event. VIP experience will be offered for an additional $15. Taste tabs will double as “votes” for a restaurant’s partner charity. The winning charities will receive a Simon Gift card donation. Call 512.873.8099 or visit http://www.simon.com/the-domain-taste-of-north-austin for more information. 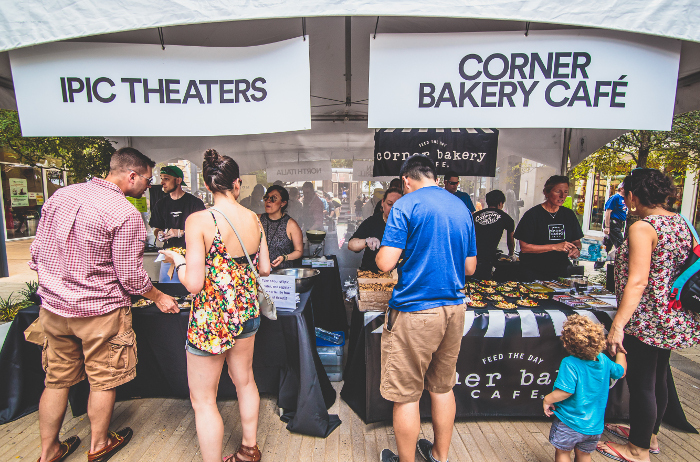 GIVEAWAY: Win a pair of wristbands to Taste of North Austin + a $50 gift card to Punch Bowl Social AND Corner Bakery! Leave a comment or complete the form below for a chance to win. All entries must be received by 9:00 a.m. CST on Wednesday, June 7, 2017. The winner will be notified via email and given 24 hours to respond. If no response is received, a new winner will be chosen. Only one entry per household. Must be 18 years or older to enter. No cash value. Giveaway items cannot be transfered. Visit the Domain during the Taste of North Austin event and mark off two items on your 2017 Austin Summer Fun Checklist for Kids!